On October 11, the Nokia Theater LA Live in downtown Los Angeles will be the setting for “We Will Always Love You: A Grammy Salute to Whitney Houston.” It will air Nov. 16 on CBS. The Recording Academy announced Thursday that the special will also include Houston’s “most memorable performances” and interviews with various artists. More performers will be announced. Tickets for the event go on sale Thursday. Houston died at age 48 in February. Authorities called her death an accidental drowning, complicated by heart disease and cocaine use. 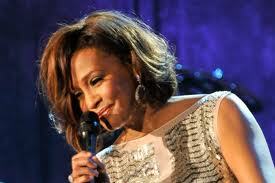 The compilation album, “I Will Always Love You – The Best of Whitney Houston,” will be released on Nov. 13.